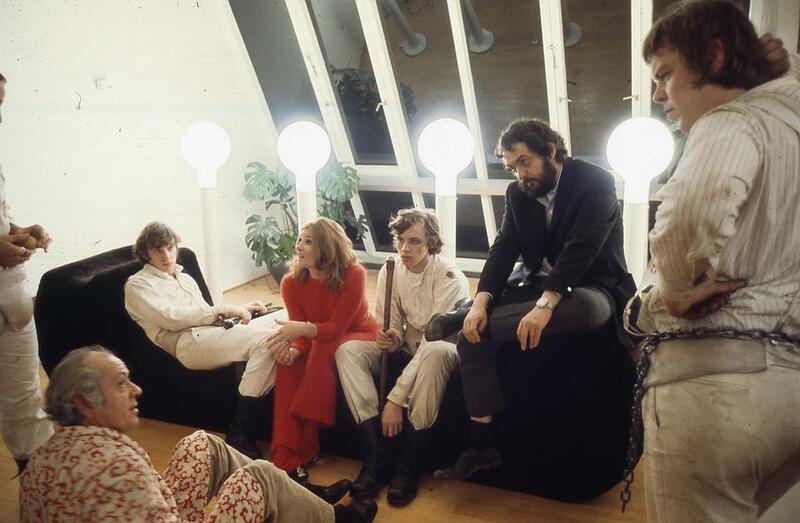 Stanley Kubrick directed A Clockwork Orange in 1971. Portrait of a film: in England, in the near future, the Droogs gang spreads terror through gratuitous acts of violence. Arrested for murder, Alex, their leader, agrees to serve as a guinea pig for a new therapeutic experiment that renders any form of violence unbearable to him. Once released, now as gentle as a lamb, he is driven to suicide by one of his former victims who seeks revenge. Alex survives and is returned to his original state on government orders. Portrait of an era: supposed to take place in the future, the film is firmly rooted in the 60s, marked by the Vietnam War, the protest movements of the youth and the rise of insecurity in Western societies. In filigree we notice the fears aroused in England by the proliferation of youth gangs as well as the political debates initiated by the proponents of anti-psychiatry against the psychological conditioning techniques. On an esthetic level, A Clockwork Orange reflects its time, in the mixture of kitsch and psychedelic pop art, and through the music of the first electronic synthesizers. Portrait of a filmmaker: in 1971, when A Clockwork Orange is released, Stanley Kubrick is 43. Born in New York, this former newspaper photographer turned filmmaker chooses to live in London with his family. A perfectionist filmmaker, he controls the production of his films from conception to distribution. Being of a rebellious and libertarian temperament, he believes that civilization is only a protective coating and that the true nature of man, evil, can resurface at any moment. However, everyone must preserve his free will and even the worst criminals do not deserve to be tortured. A Clockwork Orange is the work of a visionary.